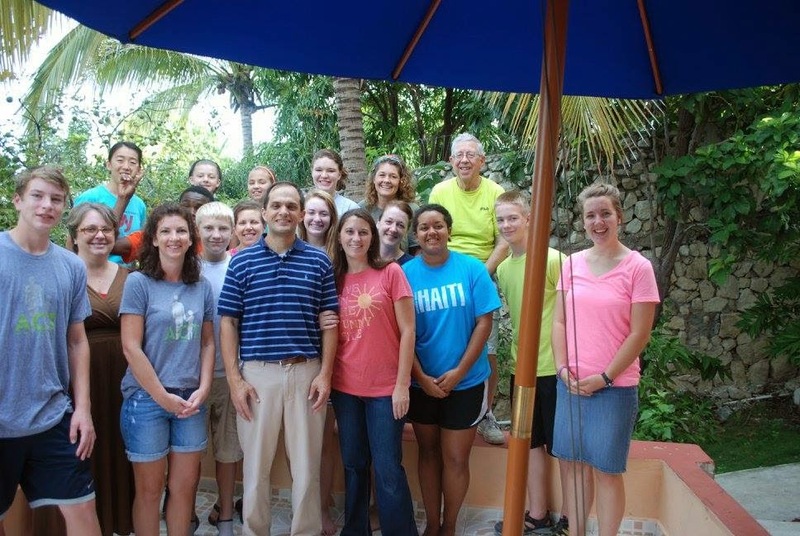 2014: Four Months of Haiti! The longer I’m in Haiti, the more difficult it is to put into words. It felt easier back when the experience was new, unexpected, surprising. As time continues to barrel by and blow me over, the insanity of each day, for better or worse, has become normal. I find myself less inclined to write about the spontaneity and more inclined to internalize. Process. Mull. Wonder. My introverted nature (surprise, surprise, I am indeed an introvert) hits me full force these days. I recoil, find solitude and let the musings of my mind take over as I try to grasp the gravity and the responsibility of “doing life well” (Fellows shoutout) where I’m at…which for now happens to be Haiti. I’ve written in spurts over the past two months. Mostly when the day has been long, the emotions have been painful or my heart is missing my community. I hope to eventually get all that organized into a more coherent post. For now, this is my rambling attempt at catching you all up on the end of 2014 and sharing my heart for what I hope 2015 will bring. – In the last four months of 2014, we got to host 72 people! Some were adoptive families coming to meet their child for the first time and some were here take their child(ren) home after years of waiting. 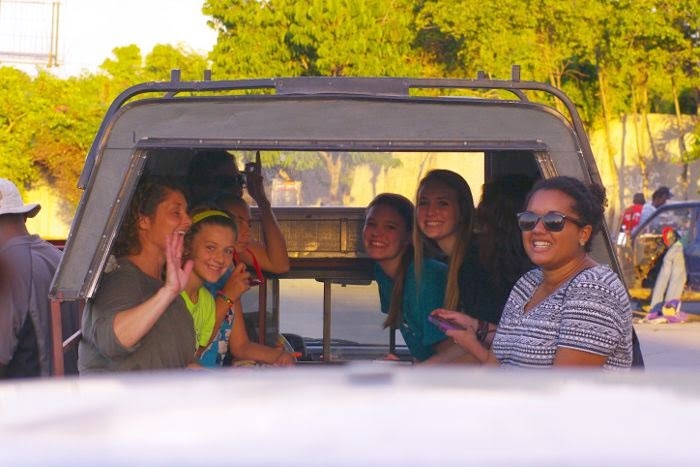 A few were mission teams coming to serve in various capacities. Some were quick trips of individuals with appointments at the US Embassy nearby. Regardless of the reasons that brought all of these people to our Guesthouse, the past four months has taught me so much about serving, learning and listening. The opportunity to interact with people from various backgrounds is one of my favorite parts about running the Guesthouse. – Since September we have seen 7 children go from orphans to part of a loving family. It is truly witnessing a miracle to see some of these kids come to believe that they are a valued member of a family that loves them, after so many have come from a background of loss and heartbreak. This has been humbling and sometimes painful to know and witness, but so sweet is the redemption of Jesus. – There are two orphanages in particular that we spend a significant amount of time working with here in Haiti because of strong partnerships and history. One of them was my first orphanage visit ever, in July of 2014, when I was visiting Haiti for a short trip. It was so incredibly overwhelming that it was hard to know where to even start processing. Now that I visit these kids on a regular basis, I’ve been able to see them not as orphans, but as individuals. Living here, we get the unique opportunity to be a smiling, supportive and loving face to these kids regularly. Getting to know their personalities and learning about their strengths and passions has been eye opening and joyful for me. – This Christmas my mom and dad were able to come to Haiti for ten days to visit me! It was awesome. Explaining my day to life here is next to impossible when you haven’t witnessed it for yourself. Getting to show them my new home was a much needed adventure. It’s amazing how beneficial sharing experiences with those close to you can be. I didn’t know it before they came, but I was definitely in need of that little slice of home. Living in Haiti is not without its challenges. There have been days where life is just hard. Problems seem insurmountable. Circumstances seem too dire. Poverty seems too prolific. The brokenness seems too ingrained. Those days are the ones that friends are made for. So many of you have written, texted, called, emailed and even made videos to express your love and support. If you only knew how many times those messages have brought me to tears…it would be embarrassing. I cannot thank you enough for praying. Some days the prayers I say sound more like rants in an effort to make sense of life. Most of the time, the words I have don’t seem like enough or they don’t come out right. Knowing that so many amazing friends are out there praying the words that I might not have at the time is comforting. As we head into 2015 I hope that we would all be constantly reminded that no circumstance is too much for God to handle and that every prayer is worth saying, ranting, crying or expressing in some way because we are all beloved children of the King and He cares more than we can comprehend.